Abdominal wall defects and complex hernias are serious issues that can cause discomfort and additional health complications. Treatment is usually abdominal wall reconstruction surgery to repair the opening in the muscle wall. Inguinal (groin) hernias are the most common. They occur more frequently in men than women and are located where the skin crease at the top of the thigh joins the torso. Femoral hernias occur below the inguinal crease near the mid-thigh. These are more common in women and often contain tissue that is not able to be pushed back in. Paraesophageal/Hiatal hernias develop when your stomach slides up and out of your abdominal cavity into the chest cavity. Common symptoms of this type of hernia includes heartburn, reflux and/or chest pain. Umbilical hernias are often present from birth as a protruding belly button. These hernias occur at a naturally weak area of the abdominal wall and often require repair later in life or after pregnancy. Incisional hernias can sometimes occur following abdominal surgeries. The damage to the abdominal wall weakens the muscle and allows for the formation of the hernia. These can often be complex and can occur multiple times. When these occur in the midline of the abdomen they are called ventral hernias. Epigastric hernias occur between the rib cage and the belly button. These occur in areas of relative weakness and often contain fat. 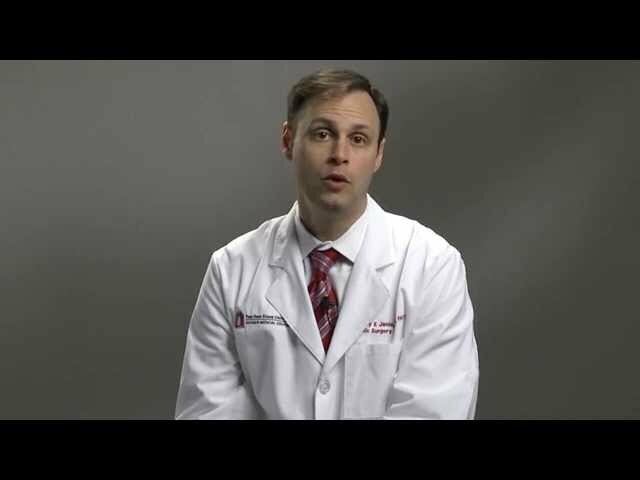 The treatment capabilities at The Ohio State University Wexner Medical Center range from simple to complex hernias and abdominal wall reconstruction. Our internationally renowned doctors are the ones who write the papers and conduct the leading research. Current research includes trials to determine which are the best abdominal meshes and how they should be applied. The goal of these and other studies is to identify methods that will enhance patient recovery. Contact us today for more information or to schedule a consultation with a specialist. Your plastic surgeon can explain everything about abdominal wall reconstruction at your initial consultation and help determine what other doctors should be involved with your treatment. Contact us today for more information or to schedule a consultation with one of our plastic surgeons. Abdominal reconstruction is performed using a general anesthetic and generally involves repositioning abdominal muscles, moving skin and insertion of a mesh. The surgery can be as short as two hours or last eight hours or more, depending on the patient’s age and condition, size of hernia, complications from prior surgeries and other factors. You may be required to stay at the hospital one or more nights, depending on the complexity of your case. The recovery period from abdominal wall reconstruction is usually six weeks. During the recovery period, there should be no lifting of objects and no strenuous activity that raises blood pressure or heart rate. Thereafter, a gradual ramp-up of normal activities can be started. An abdominal binder (corset-type garment) is worn during the recovery period to reduce discomfort. Any pain from the surgery can be managed with medication. OSU Wexner Medical Center has a high hernia surgery success rate. The expertise our doctors have with abdominal wall reconstruction and the mesh they typically apply during surgery account for the low rate of hernia recurrence in our patients. Jeffrey E. Janis, MD, FACS, offers insights on the unique approach that makes all the difference for complex hernia patients. Learn how general surgeons and plastic surgeons partner, using advanced techniques and technologies to solve both simple and complex problems. Hear about how they apply an individualized approach that focuses on the patient.